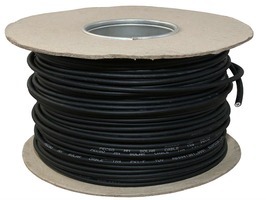 Professional 4mm single-core solar cable, specifically designed for connecting photovoltaic system components permanently. By Sunshine Solar. Powerful, compact and very versatile. Ideal for caravans, motorhomes, car, boats notebook computers, GPS systems etc.. 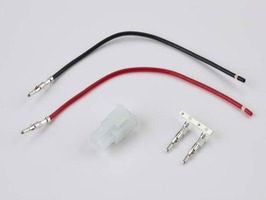 This regulator S-S type connector is compatible with the Sunshine Solar Briefcase Chargers 13W & 28W. 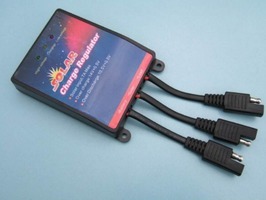 The Ring 1.5w Solar Power battery Maintainer is an ideal product to keeep your battery levels topped up. 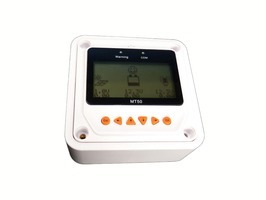 Designed to maintain most 12v battery types and works in overcast conditions. In a world where the need for alternative energy sources are becoming ever more apparent, the benefits of Solar Power are no longer confined to homes and big business. 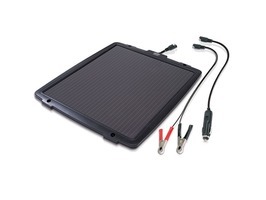 Solar Panels for Caravans, Motorhomes, Camping and a multitude of outdoor activities are now readily available from caravan accessory shops nationwide. The obvious benefits Solar Power brings to the leisure industry cannot be overstated. Not only does Solar Energy reduce carbon emissions but it also has the potential to deliver absolute energy independence, something previously thought impossible. Once upon a time leisure products that made use of Solar energy were largely considered to be well, a bit of a gimmick. 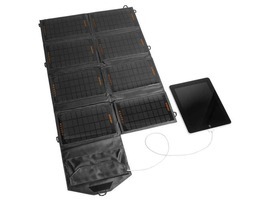 However, this attitude has changed considerably and there are now a plethora of useful and practical Solar Powered products on the market, suitable for caravans, camping, boats, motorhomes, trucks and many more besides. Greater consumer awareness of the benefits of Solar Energy and associated technologies has lead to an increase in sales, which has helped to push down retail prices, as the cost of producing Solar Panels has declined. Solar Power is a renewable and sustainable energy resource. Solar cells are totally silent. They extract energy from the sun and daylight without making any noise. Solar energy is completely clean and non-polluting, which means no harmful elements are released into the environment. Solar panels require very little maintenance; they have no moving parts that need to be fixed and so last a long time. Solar panels are a great way to use sustainable, natural resources to create energy. One way we can all help the environment. As you can see, there are many benefits of solar energy, particularly in the outdoor leisure market. 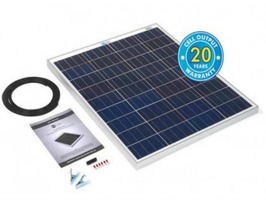 At Homestead Caravans we stock a wide range of solar panels to suit a variety of uses from charging your mobile devices, powering a laptop commuter while on the go to protecting and maintaining your caravan or motorhome leisure battery, also your vehicle battery, to the freedom of powering your electrical appliances away from the electrical hook up. 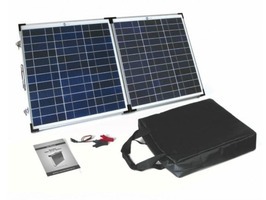 Enjoy maximum power convenience on the road with power generation and power processing from one source with the superb range of premium quality solar panels from Truma SolarSets to the very affordable PV Logic Solar Panels, these rooftop kits are supplied in user friendly kits for retro fit and include very concise step by step instructions. 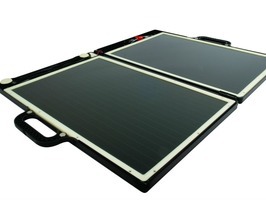 These high build quality solar panels are permanently mounted to the roof of the leisure vehicle and are available in a range of power classes from 20W to 150W, providing enough electricity to run devices such as, lighting, water pumps and televisions. 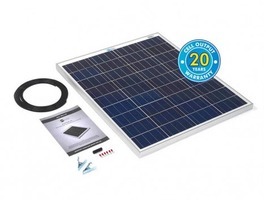 The Vision Plus Solar 40 Master Panel and Solar 40 Add On is designed as an expandable system. First fit the 40W Master Panel and if you need more generating capacity, simply connect a 40W Add-On Panel. 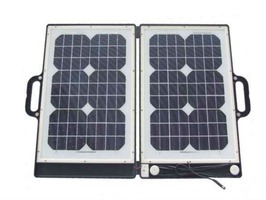 This system can be extended to a total of four panels – a capacity of 160 Watts. One of the most compact systems available that is easy to install with no special tools required. If you do not wish to have a permanently fitted solar panel then the latest PV Logic Fold-up Solar panels by Solar Technology could be for you. Each panel has its own fold away integrated stand, charge controller and battery connectors, so all you need to do is open it up, stand it up and connect to your battery for instant power. 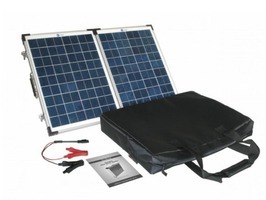 The Portable Fold-up solar panel is a premium quality crystalline twin solar panel system in a corrosion resistant tough aluminium frame that neatly folds into a briefcase style and is supplied with a quality padded carry bag for easy carrying and storage. 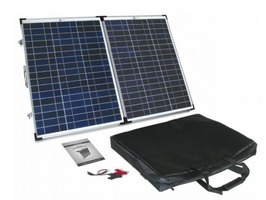 Available in 40W, 60W & 90W power classes, these solar panels are perfect for anyone looking for a highly portable system that is quick and easy to use. 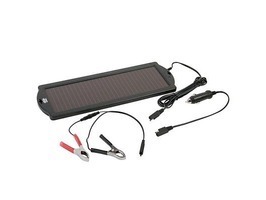 The Ring Solar Powered Battery Maintainers 1.5W, 2.4W & 6.0W are perfect to keep you battery levels topped up and are designed for vehicle and leisure batteries. 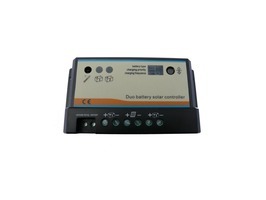 These Solar battery maintainers also protect against battery discharge and electronic discharge and are reverse polarity protected. These maintainers can be simply placed in your vehicle window; the larger model can be permanently fitted if required and are ideal when your caravan or motorhome are in storage. 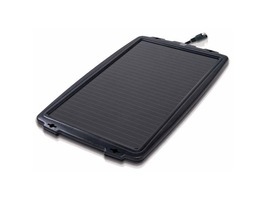 The Ventura 28W solar panels are a great way to keep your electrical devices in power whilst on your holiday trips. It also features the ability to fold for easier transporting, PET lamination for a longer lifespan and mono crystalline panels. Perfect to keep your mobile phone, tablet, camera or navigational device charged whilst in the outdoors. Homestead Caravans are Truma Partners and Solar Technology Premier Dealers and are able to offer a professional fitting service of the SolarSets and PV Logic Solar panel Rooftop Kits in our state-of-the-art caravan workshops. Call 01255-830-229 for more details or to book an installation.